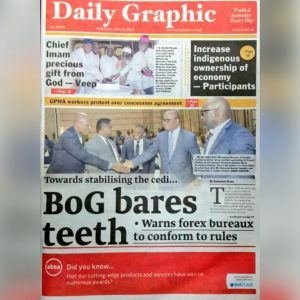 Home » All AfricaNews Ghana » Thu 11th Oct, 2018 » Let\'s Deal With Vigilantism Now! Let's Deal With Vigilantism Now! The Minister Designate for Information, Kojo Oppong Nkrumah, is the latest high ranking government official to call on the police to deal with vigilante groups in the country. Charging the security agencies in the country to bring to book persons involved in political vigilantism, he said "there will be no need banning political vigilantism because their actions are already illegal. So it is left with the security agencies to act". Speaking to journalists in Accra on Tuesday, Mr Nkrumah called on the judiciary to heed to the call by President Nana Addo Dankwa Akufo-Addo and give offenders of the law stiffer punishment to serve as a deterrent to others. Mr Nkrumah's call which is coming at the heels of that which was made by the National Commission for Civic Education (NCCE) on political parties and security agencies to disband political vigilante groups in the country although appropriate, is not new. This is not the first time that a high government official is calling on the security service to deal with vigilantes in the country. The President, Nana Akufo Addo as well as other government officials, politicians, religious leaders, civil society groups among others have in the past called for a ban on the activities of vigilante groups, but that has fallen on deaf ears. 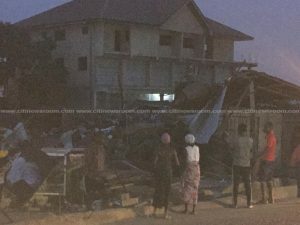 These groups have wrecked havoc on properties and attacked fellow Ghanaians in the most backward manner and yet the law has been unable to deal with them. As a result, the lawless members after their illegal acts still walk among the very people they attack and injure. 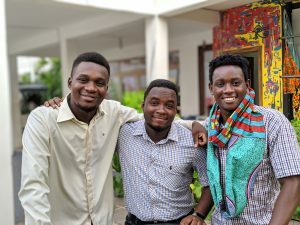 The Ghanaian Times do not think that the groups on their own would disband. It would take force to do that and it is only the security services that can enforce it. But looking at the positioning of the security agencies in the country's political theatre, it is doubtful that they can on their own take action against the vigilante groups. We, therefore, suggest a public debate to discuss the methods to be used to neutralise the groups which have become a "pain in our side". Indeed the vigilante groups have caused enough havoc and should not be allowed to continue to perpetrate further harm on the people. We should all in mission come together to stop the violent attacks that is gradually turning into national security nightmare. If we do not stop them now, no one can predict what would happen in the future. Examples of similar groups turning into armed groups and terrorising their own people abound. We must not sit and do nothing for the situation to degenerate before finding solution to it. We must stop their activities now!